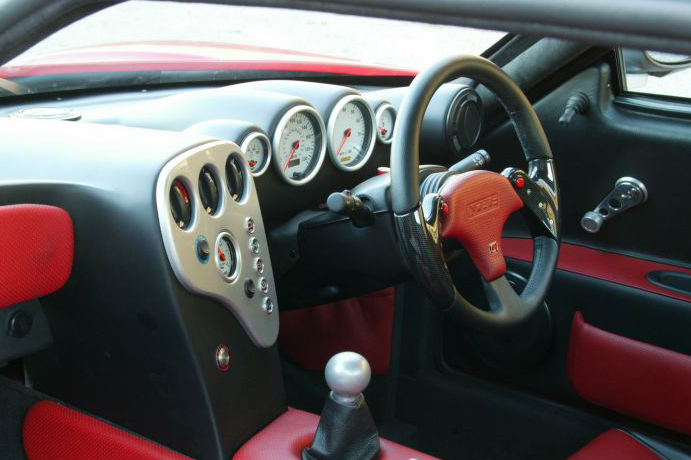 CAI's history of supplying gauges to British sports car manufacturer, Noble Cars spans over 15 years. Past successful projects included the M12 and the M400, both of which have now been acquired by American Car Manufacturer 1G Racing and re-branded under the "Rossion" name. CAI continue to supply the gauges to 1G Racing today. In 2009 Noble released the M600, arguably it's most luxurious offering yet, a car which takes Noble into Super Car territory. 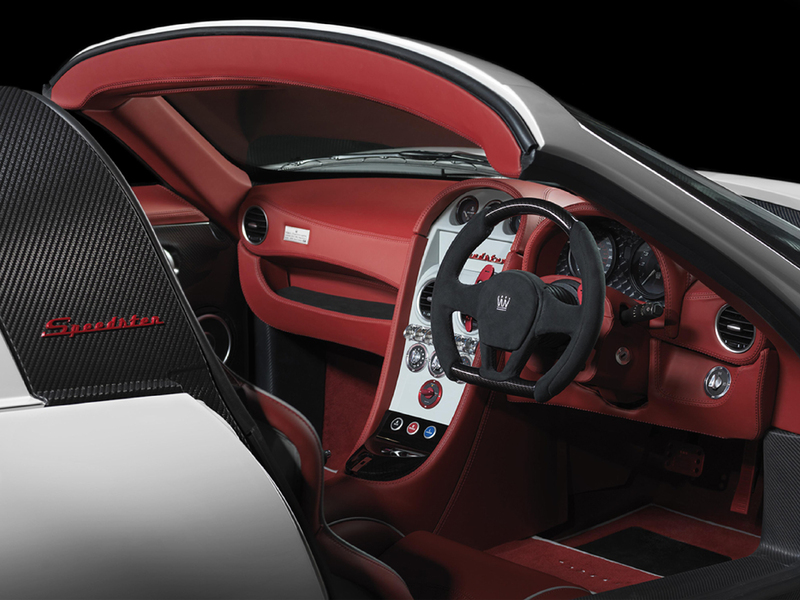 With 650 bhp (485 kW) available from its purpose built 4.4-litre V8 twin turbocharged engine, the carbon fibre, light weight bodied car is aimed firmly at the established Ferrari/Porsche brands. Our earliest project was the design and manufacture of the M12 Gauges. The first M12 was hand built in Leicester where the new development engine was fitted. A handful were manufactured before the production was moved to South Africa. Then known as known as "Noble Moy Automotive", the cars would be 80% completed in South Africa where it was more cost effective, then returned to Leicester in the UK for final assembly. 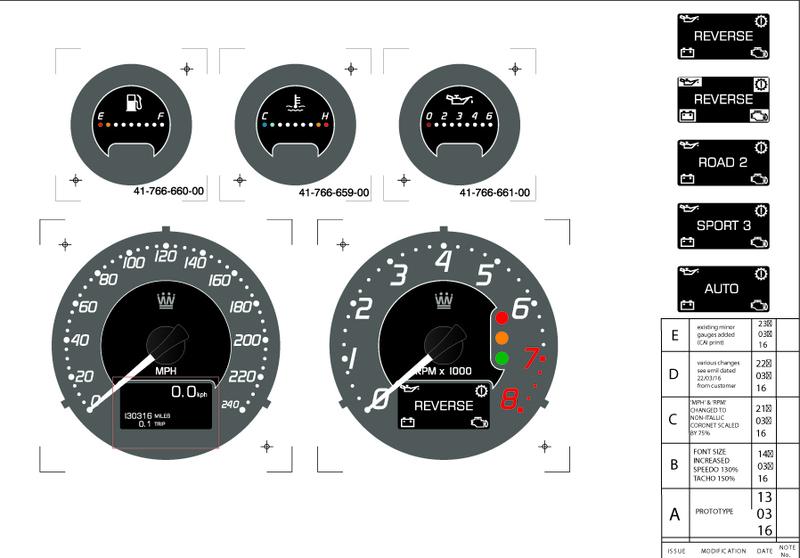 The gauges designed for the M12 also went on to be included in the newer M400. 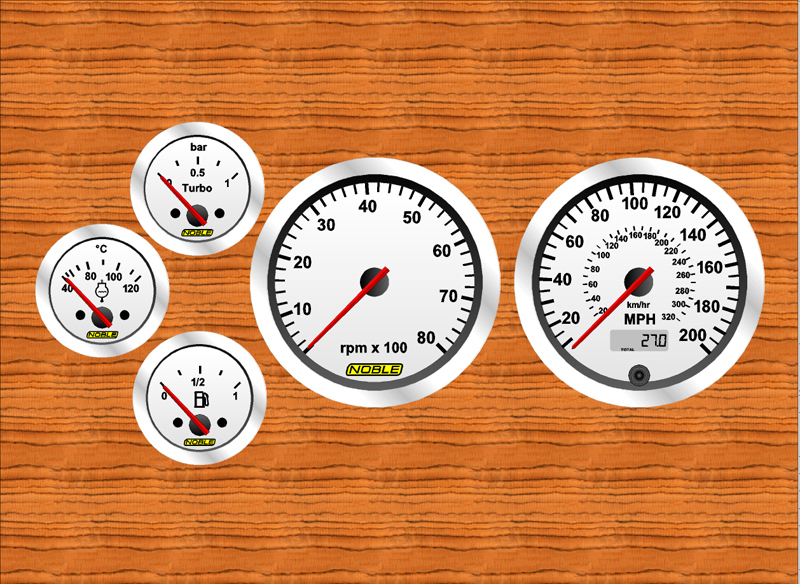 The gauges consisted of 100mm 8k Tachometer, 100mm Programmable Speedometer (0-200MPH), and three minor monitoring gauges; Fuel Level, Turbo Boost gauge and Water Temperature Gauge. All include white dials with black graphics on a cirrus white dial and red pointers. The original NOBLE logo is featured. 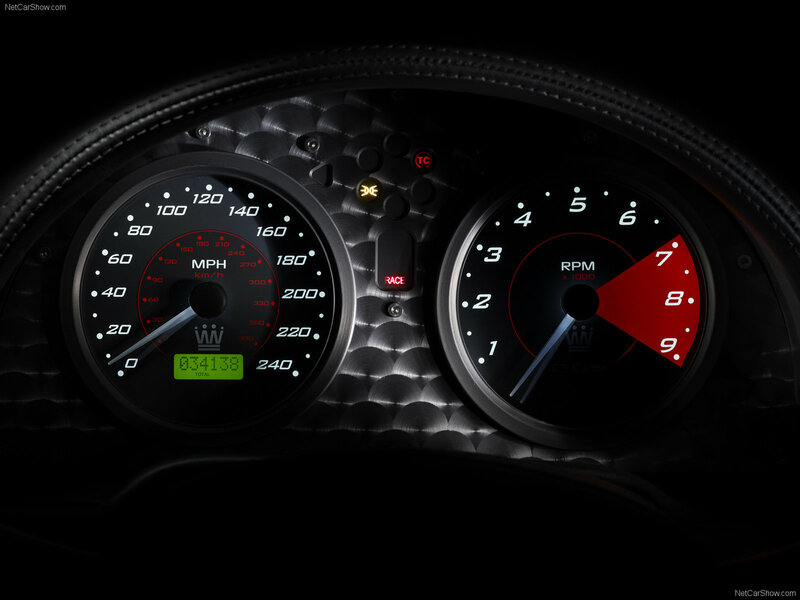 The new designed Tachometer and Speedometer for the Noble M600 with new NOBLE logo. 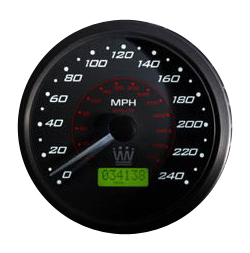 100mm Speedometer 240MPH which is also CAN enabled.